Join Lorena Quintero, RYT500 & RHN and Stephanie Oswald, RHN, CHC & Reiki practitioner this summer on a holistic journey of self discovery, re-awakening, healing and transformation. Four unique sessions inspired by the 5 natural elements designed to guide and inspire you to connect with yourself and listen to your inner voice to follow your true nature and create your own path. Through conscious movement, mind-stillness, breath-work, energy healing and organic nourishment, come out of this 4 week series inspired, empowered and revitalized. Experience one, or the whole series and discover the elements within you. Session 1: Roots & Rhythms- Focused on earth & water elements. Expect stability and fluidity. Session 2: Soul Warrior- Focused on fire element. Expect a fiery, strong, sweaty practice. Session 3: Love Mandala- Focused on air element. Expect self-love and healing. Session 4: Paths of Liberation- Focused on space and consciousness. Expect an intuitive flow. 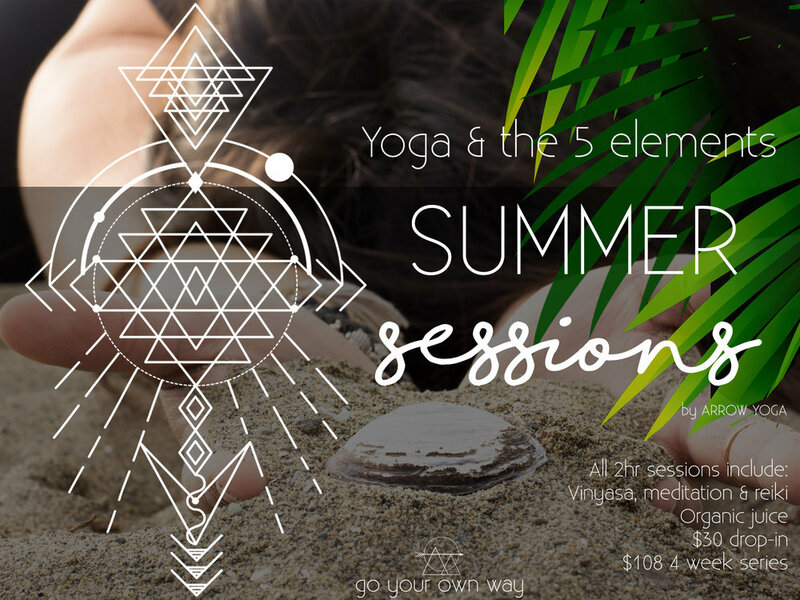 All 2hr sessions include vinyasa, meditation, breath work, reiki and a Bluhouse Smoothie.